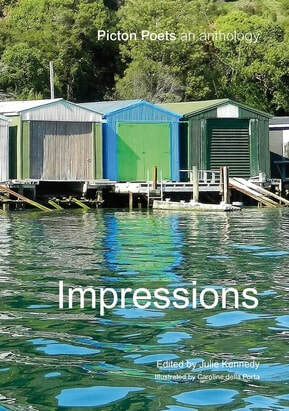 Picton Poets have been flourishing for over 21 years an occasion celebrated by publishing a second anthology titled Impressions. Reflections, the poet’s first anthology, was published in 2011. The group meets on the fourth Wednesday of each month at 10.30am in the Picton Library. (Sometimes a public holiday gets in the way as with Anzac day this month, so we are meeting on the 3rd Wednesday (18th April). A challenge or topic is giving each month and everyone endeavours to write a poem.We also take turns in looking up our favourite poet or finding a poet we like and doing a little research on the poet and poem to bring along for discussion.It is always surprising that each poem on the same given topic for our monthly challenge can be so different. Every poet has their ‘own voice’. We are a friendly bunch and look forward to meeting new or potential members. Why not come along and check us out. Perhaps you have always wanted to have a go at writing poetry… or you have been secretly stashing poems away in a drawer? For more than two decades, their prose has helped spark imaginations and bring words to life. The Picton Poets have seen their work published across New Zealand. Now the group of talented wordsmiths are joining together to create a special anniversary edition of poems. I depended on you, existed for you. Copied from ‘Healthy’ recipes seen on website ‘Pinterest’ – note use of alliteration in recipe names to encourage consumption! Apparently it works for children too! can save the craft, the sea-going crew. We are all that the lost have been.